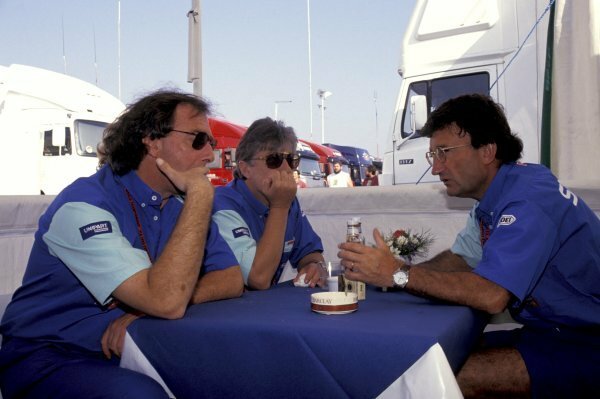 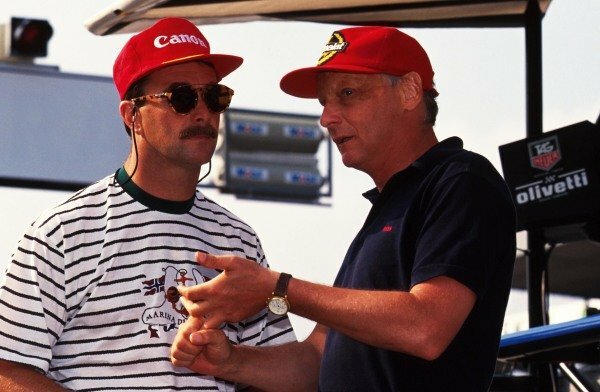 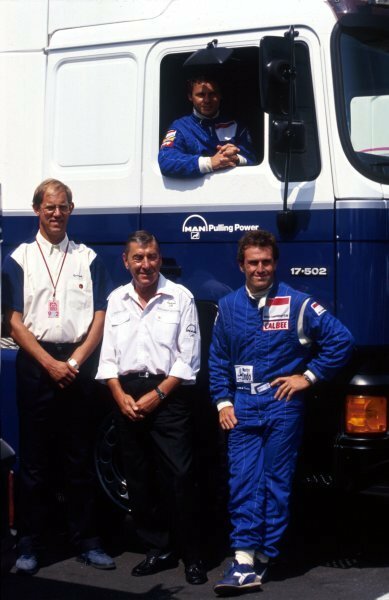 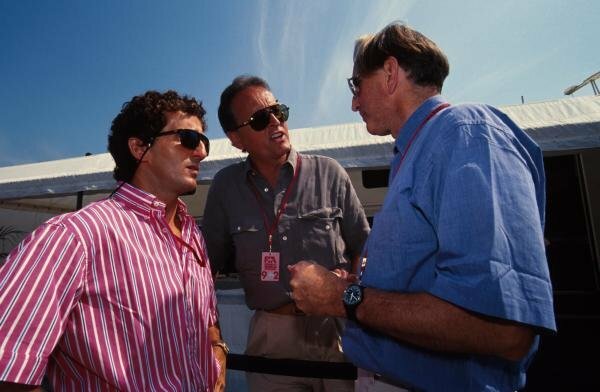 Eddie Jordan (IRE), Jordan Grand Prix Team Owner, right, chats to Ian Phillips (GBR), Jordan Grand Prix Commercial Director and John Walton (GBR).<br /> German Grand Prix, Rd10, Hockenheim, Germany, 26 July 1992. 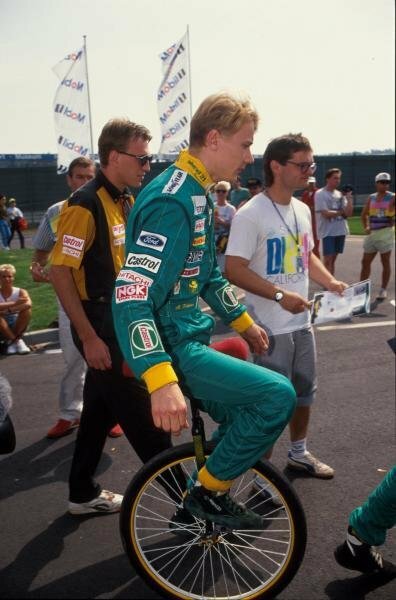 Mika Hakkinen (FIN) demonstrates admirable circus skills on his unicycle. 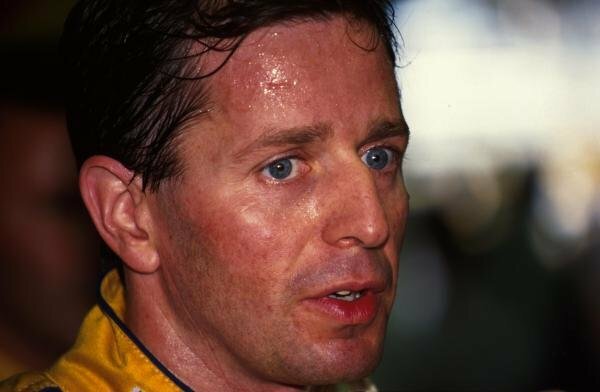 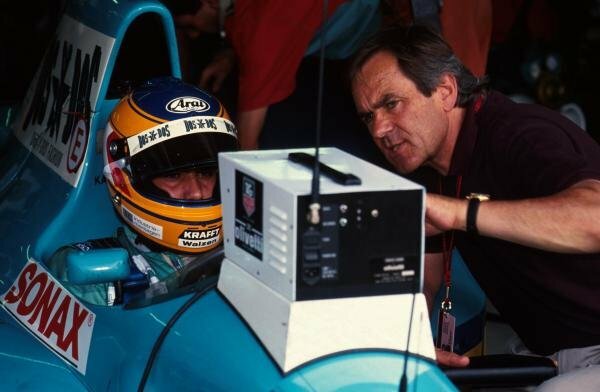 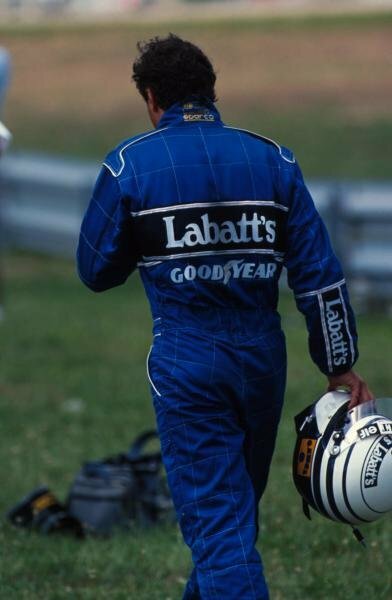 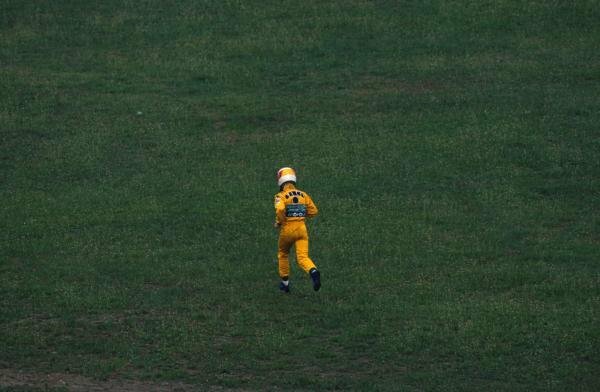 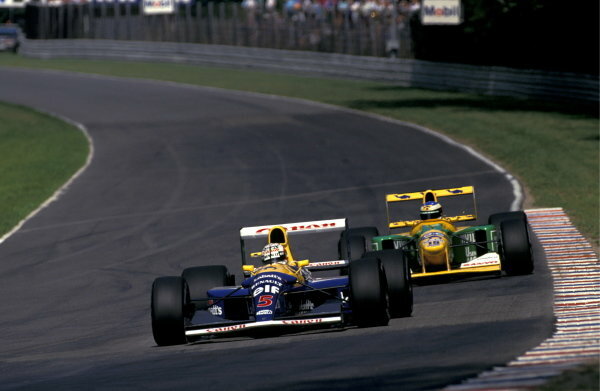 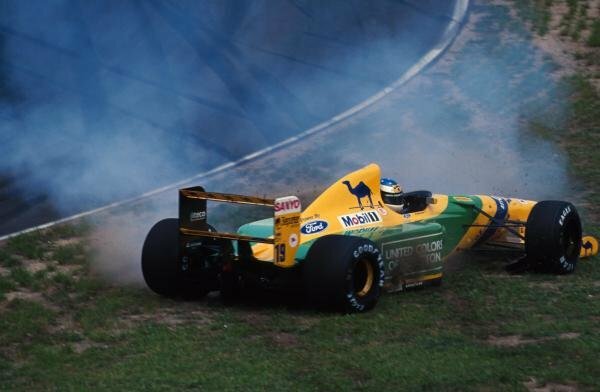 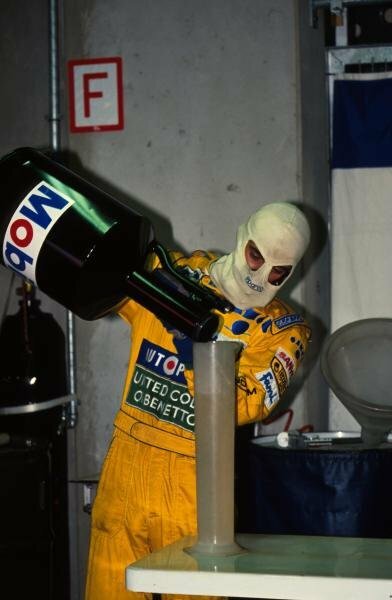 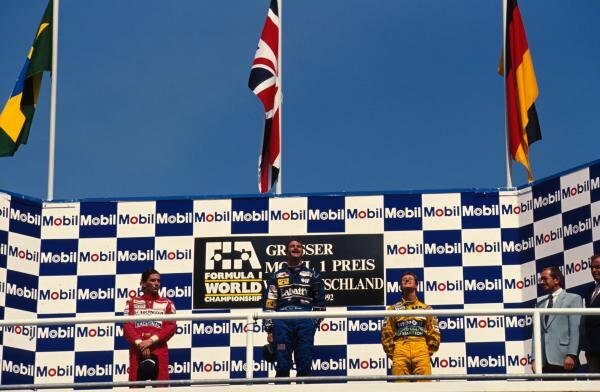 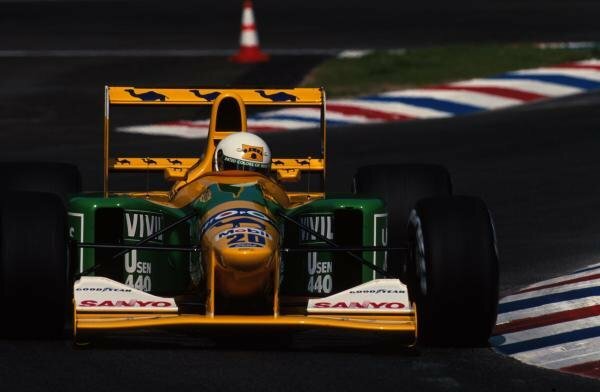 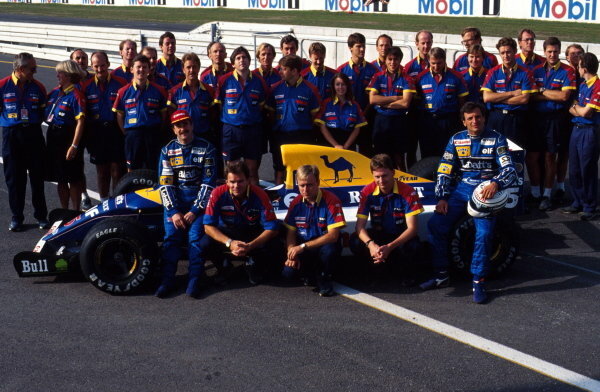 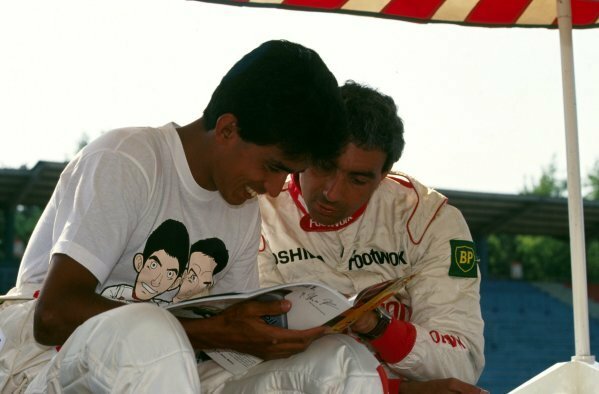 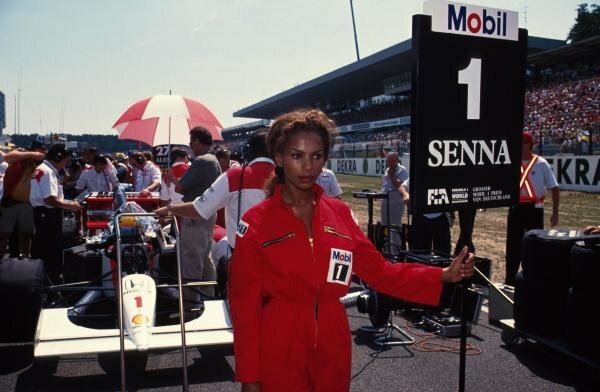 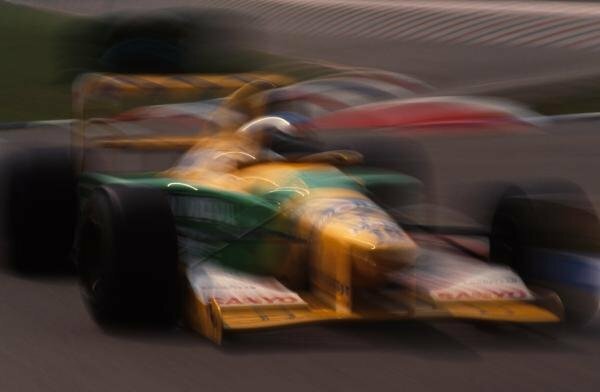 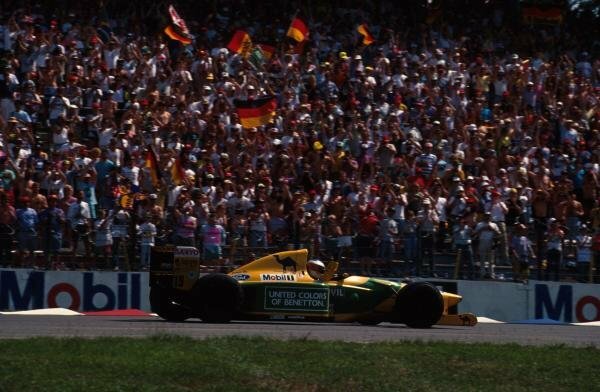 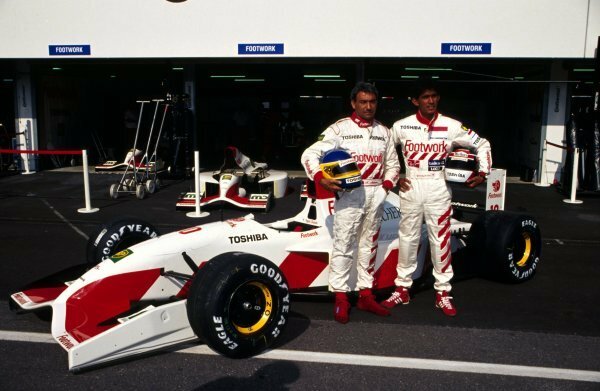 <br /> German Grand Prix, Hockenheim, 26 July 1992. 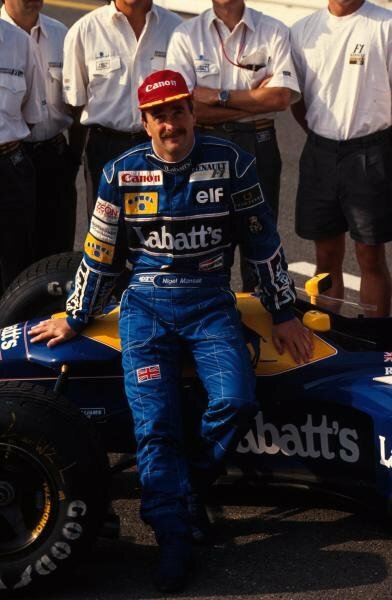 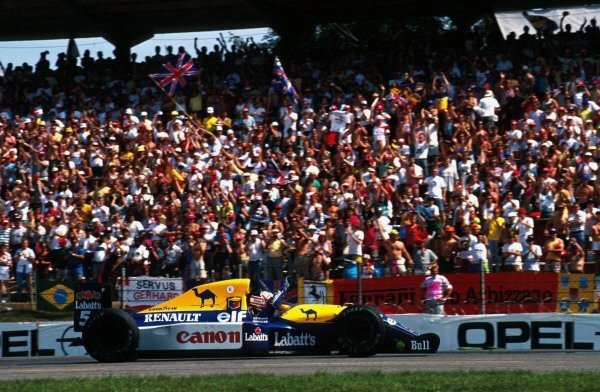 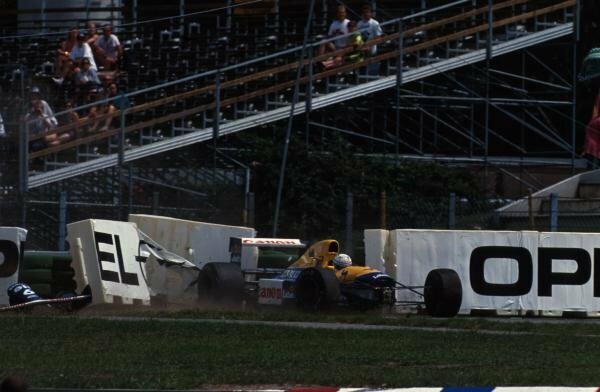 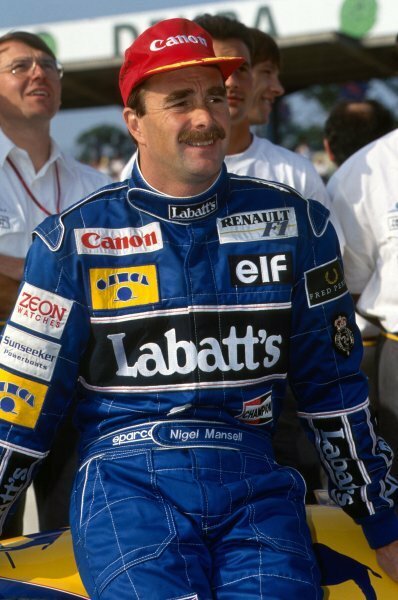 Race winner Nigel Mansell (GBR) Williams FW14B waves to the crowds.<br /> <br /> German Grand Prix, Hockenheim, 26 July 1992.